“Homecoming” has to be the most fitting description for Scott Niemeyer’s life at this very moment. The New Orleans-native-turned-Hollywood-producer has staked a 27-year career in film—including producing My Big Fat Greek Wedding and overseeing financing and operations for Dumb and Dumber—but his recent career surge has swelled on the success of a comedy shot in the Capital City with LSU standing in as the fictional and a capella-frenzied Barden University. Will Pitch Perfect 3 Bring more Money to the Louisiana’s Economy? Pitch Perfect 2 opened #1 at the box office on May 15, raking in $69,216,890 during its first weekend. For the next three weeks, it remained at #2 on the box office charts, and after seven weeks in theaters, it still ranks in the top 10. 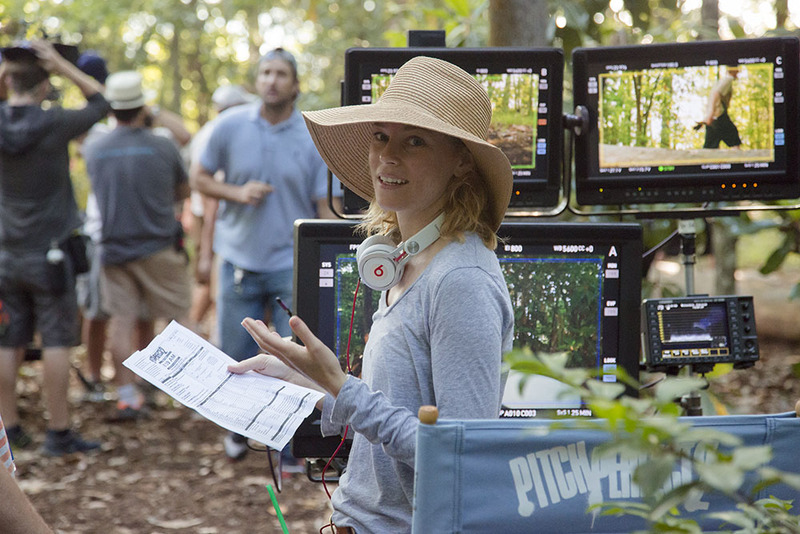 Louisiana Film & Video Magazine had recently had the opportunity to catch up with Pitch Perfect 2 producer Scott Niemeyer to find out more about the film which is set to release nationwide on May 15, 2015. A Louisiana movie producer wants to turn a 17-acre former railroad yard in his native Algiers into a $63.5 million film and television production facility. Scott Niemeyer, who has produced seven movies in Louisiana in the last dozen years, told the New Orleans Industrial Development Board on Tuesday that two years of due diligence have convinced him that Deep South Studios would fill a need for indoor production space and bring more dollars and jobs into the city. A movie studio being developed in Algiers may help improve the community’s economy by bringing in new jobs and boosting businesses. Deep South Studios will be located near the foot of the Crescent City Connection, right off of Mardi Gras Boulevard in Algiers. The studio will be made up of many buildings that will provide services for locally made movies. The $63.5 million studio was given tax breaks from the Industrial Development Board in January, and owner Scott Neimeyer is still working on financing.